Tia is the symbol of our company Touch a Heart with TIA. With her stories, she inspires us to believe in ourselves—that each of us is extraordinary—and shows us how to live more deeply, joyfully, and successfully! Find our much more about Tia and her journey by downloading all three of her little eBooks ($.99 each) go to Touch a Heart with TIA. They’re designed to be shared with young loved ones, and all those who are young at heart. They’re Inspirational, educational, and entertaining—focusing on love, joy, peace, and gratitude—who could use more of that? 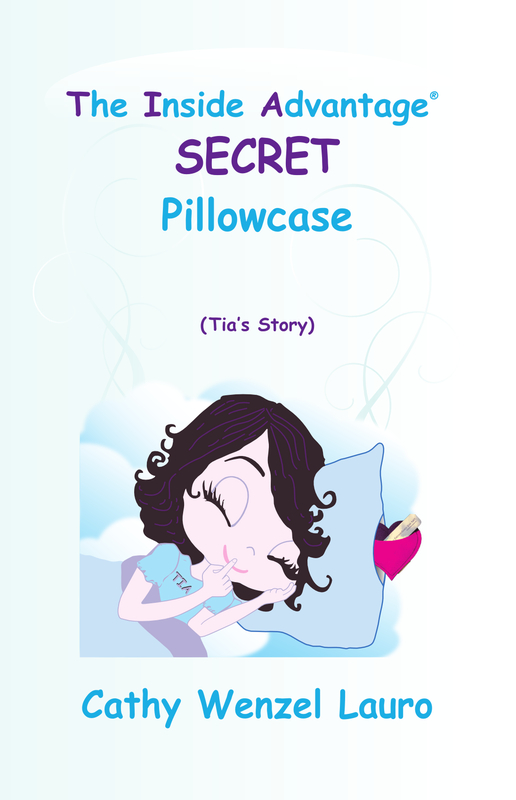 Her first book, Tia’s Story, includes great ideas for using your SECRET Pillowcase and KEEPSAKE Collection, a special Poem, and Words of Wisdom. “…One night when Tia climbed into bed, she noticed something was different about her pillow. She looked more closely and discovered that her pillowcase had an opening along the edge (not where you insert the pillow, but the opposite end). Slowly she stuck her hand in and realized that she could reach way deep inside—there was a hidden, secret compartment! (and it was very soft!) It was The Inside Advantage® SECRET Pillowcase! Next time learn more about Tia and lessons she’s learned in her second book: MORE of Tia’s Story. This entry was posted in Touch a Heart with TIA and tagged Cathy W. Lauro, finding joy, living deeply, love, peace, successful living, The Inside Advantage, Touch a Heart with TIA, words of wisdom. Bookmark the permalink.